Remember this bag? 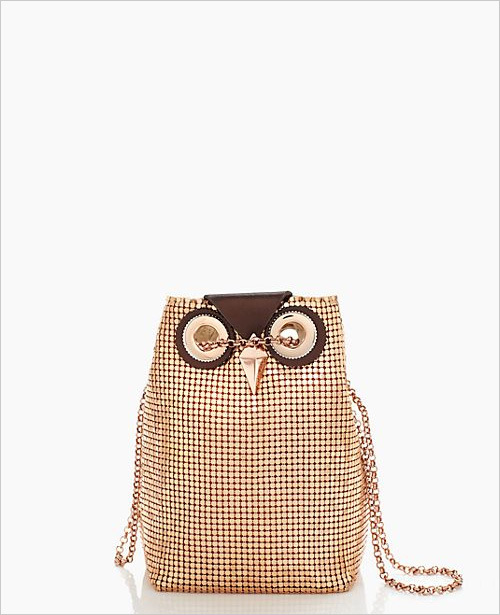 Kate Spade now launches this 14 karat gold plated luxurious Evening Belle Night Owl handbag in fabulous rose gold fully lined with jacquard fabric. So if you are interested to swoop one for yourself then keep your eyes peeled! It'll be available online on August 20th. 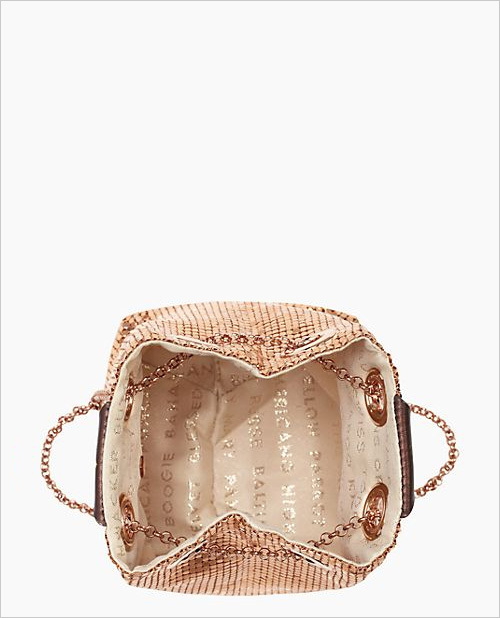 Isn't this a perfect bag for holidays? !